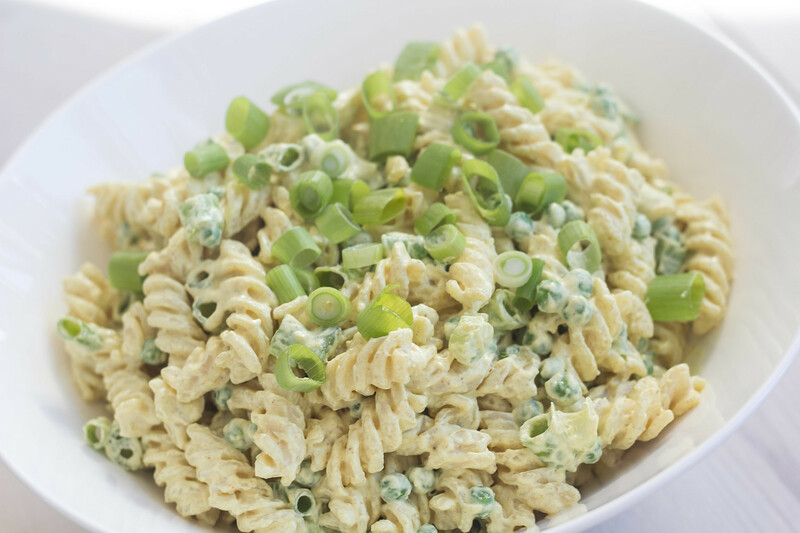 Today, I would like to share a great recipe for creamy curry pasta salad. 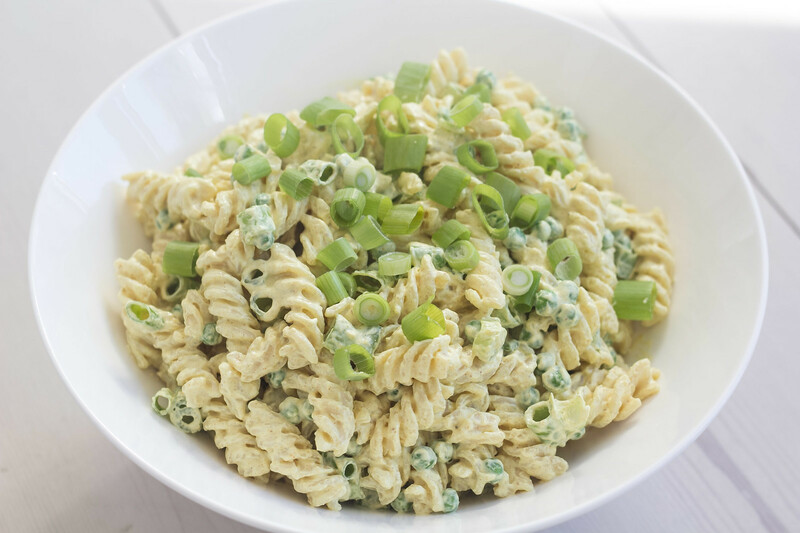 I typically make this curry pasta salad in the summertime, where I use it as a side dish when I am having a barbecue party. Of course, this curry pasta can be served together with other food which has not been prepared on a grill – I it is just that this pasta salad is perfect together with most meat, sausages, vegetables and similar. It is my experience that most people find this pasta salad very delicious – it is always the first side dish to run empty or maybe it is just me making to small servings. This curry pasta is super simple to make and it has a great and creamy consistency and together with the taste of the curry, this is a super delicious side dish. The instructions to make this pasta are very simple; you start by bringing some water boil and add the pasta – follow the instructions on the box the pasta came in. 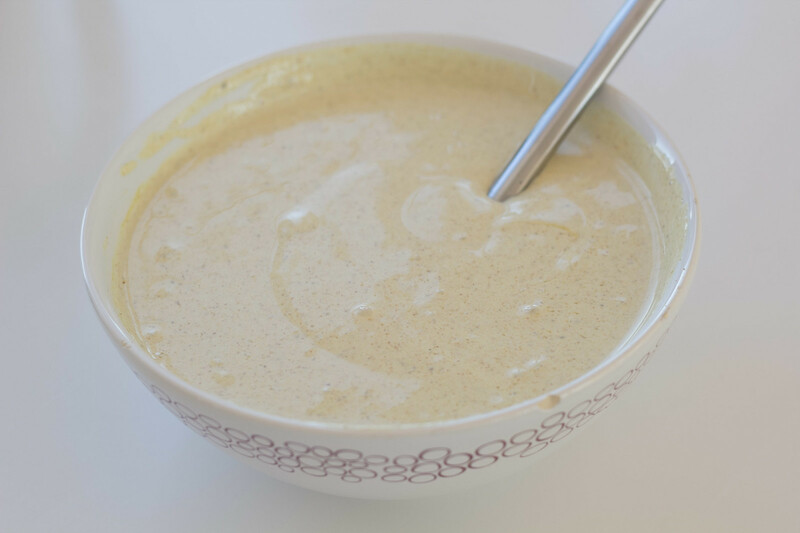 Meanwhile, the pasta is being prepared; then you make the dressing by mixing the sour cream, curry powder, salt and some sugar. When the pasta is done; drain away the water and mix it with the dressing, some peas and chopped fresh spring onions. Finally, also add some chopped spring onions on the top as decoration. 1. Prepare the pasta according to the recipe listed on the box where it came in. 2. When the pasta is done; drain away the water using a strainer. 3. 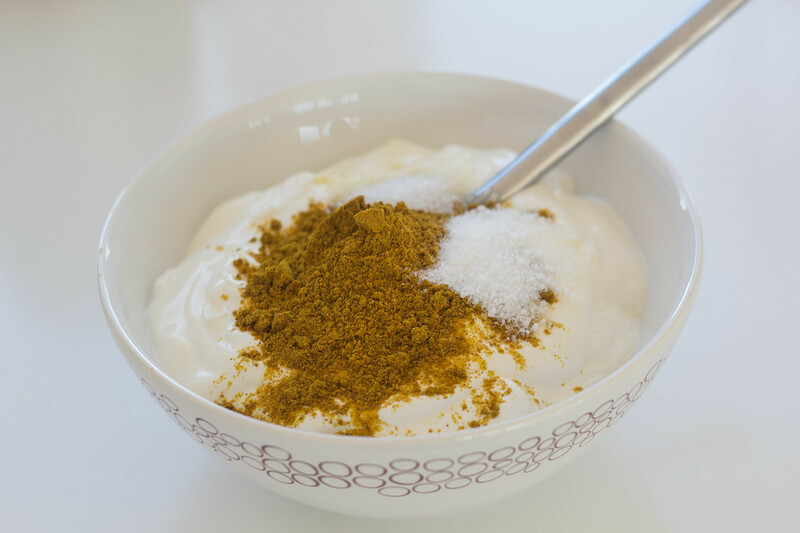 In a small bowl; mix the sour cream, sugar, salt and curry powder. 4. Set the curry dressing aside and let it settle for about 20 minutes. 5. Rinse the spring onions and cut them into fine and smaller pieces. 6. 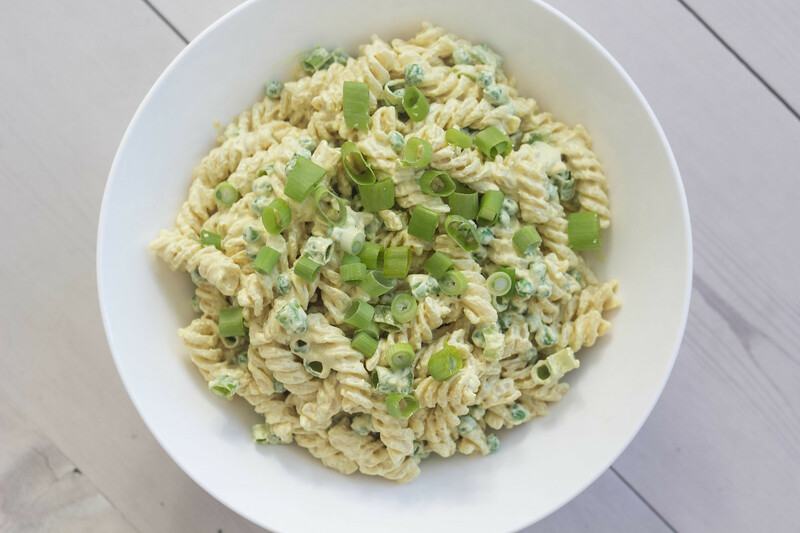 When the pasta is drained and cooled down; mix it with the curry dressing, peas and spring onions. Save some of the onions for decoration of the top of the pasta salad. I really like the look of this recipe! I’m going to try it on Saturday. Do you think it would work with new potatoes instead of pasta as well?